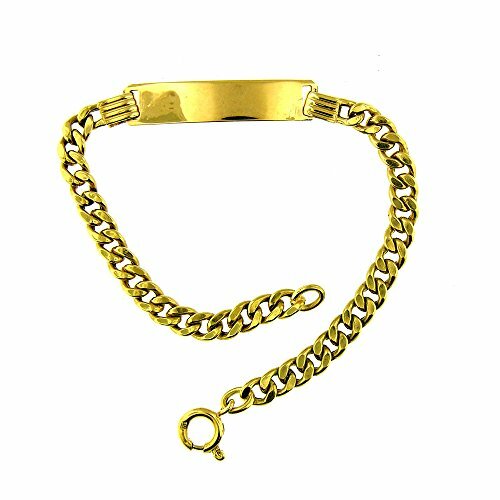 18 Kt Yellow Gold children Cuban link ID bracelet. This beautiful bracelet measures 6.5 inches in length and 0.25 inches in width. The total weight of the bracelet is 4.8 grams. If you have any questions about this product by Esmeralda Jewels, contact us by completing and submitting the form below. If you are looking for a specif part number, please include it with your message.